September flew by and now we've already finished the first week of October. I spent most of my blogging time last month switching my main blog from Blogger over to WordPress, so I haven't updated this one in a while. Switching platforms on a blog that is 8 years old is not an easy task. I had to make sure I was using a self hosted site from WordPress.org, have a good url, (I ended up changing my URL to reflect the true title of the blog), move all of my writers over to the new site, get permission from my ad networks to switch to the new site, upload all the posts and images, configure redirects, set up the pages, purchase a stunning template and tweak the design. A couple of years ago I looked into getting this done professionally and was told it would cost me $10,000 because my site is so large. I am proud to say I did it all myself for under $100. But, now that I changed my URL I have to invest some money into SEO services to make sure all the articles get indexed. You can help me by adding my new site to your feed reader, blog roll, or link to it on your blog. As an editor you can place your own ads within the blog posts of your given category, you will also have admin rights so you can place your ads yourself. Writers/ contributors can have bragging rights that they write for the Number One Health Blog for Moms, this is a great way to network and get your writing noticed by a wider audience, guest posting does the same thing, although as a guest poster you will not have an account on the site and your author's bio will be manually placed after your article. I require all my contributors/writers/editors to contribute at least one article a month. If you are interested, please visit Write For Us. September disappeared like an ice cube sitting outside in 100 degree heat. It seems like the older I get the faster time slips by. The kids started a new school year, my youngest is finally in Pre-K, and my oldest is a working girl. What happened?? Wasn't it just yesterday I was giving Goose a kiss goodbye as she hopped on the Head Start bus? It was actually 14 years ago, but it sure feels like yesterday. In September we watched Little Bear distroy our new home, followed by getting it fixed and a new floor put in paid for by our home owners insurance. After purchasing our home in June we had no idea we would be filing an insurance claim this soon. I think Little Bear learned his lesson and he won't stuff toilet paper in the bathroom sink while leaving the faucet running ever again. I love my beautiful new floor. 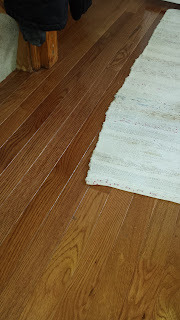 The contractor told us that our old floor was "engineered," whatever that means, but our new floor is real hard wood. I love it! 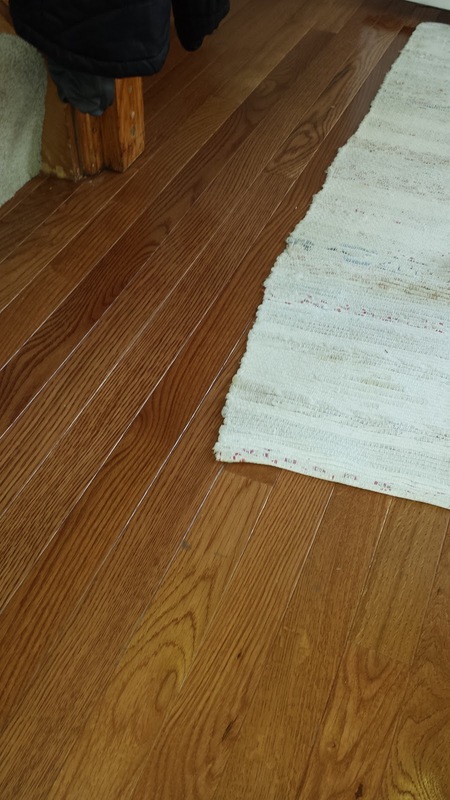 We can sand it and refinish it in about five or six years if we like, we couldn't do that with our old floor. The crazy busy school year has begun for the Talbert Zoo. We have something going on every single night. Friday - nothing!! Goose usually works on Friday evenings. Is your schedule that crazy? I swear I am going to go insane, I can hardly keep up or find time for myself. What have you been up to? Sorry it's been a while since I've read your blogs. I need to get back into a regular blog reading routine.